As part of the National Investor Awareness Project initiatives, the Securities and Commodities Authority (SCA) held an awareness-raising seminar titled “Stock Portfolio Construction and the Difference between Investment and Speculation in Financial Markets". 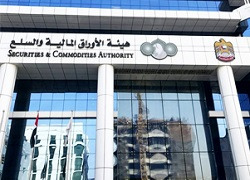 The seminar—tailored for investors, brokers, and financial analysts at UAE-based brokerage firms—was organized in collaboration with the Abu Dhabi Securities Exchange (ADX). It examined the most important investment- and speculation-related concepts and discussed how to construct a stock portfolio that takes risk and return into consideration, as well as the possibility to extend such portfolio to include other assets, such as bonds and commodity derivatives.